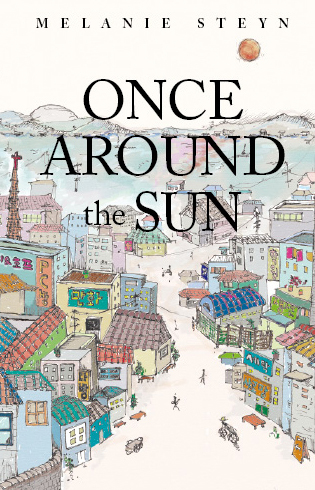 “Social cataloging” website Goodreads is hosting a book giveaway for Once Around the Sun (Seoul Selection, 2010), Melanie Steyn’s novel about a Korean family. 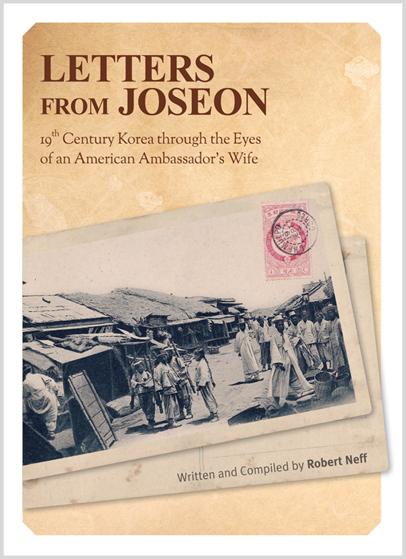 Providing a window into Korea, Once Around the Sun introduces the Lee family: Dong-ju, the 12-year-old son—boisterous, exuberant and curious; Ji-young, the 16-year-old daughter, ripped from childhood and thrown into an adult world too soon; Yun-hwa, defined as a wife and a mother, but searching to be just herself; and Kyu-ah, the grandmother, who looks back on a life full of heartache but also forward to the legacy she will leave through her family. Goodreads is giving away 10 copies of the book. The givaway ends March 31—see this page for participation details. 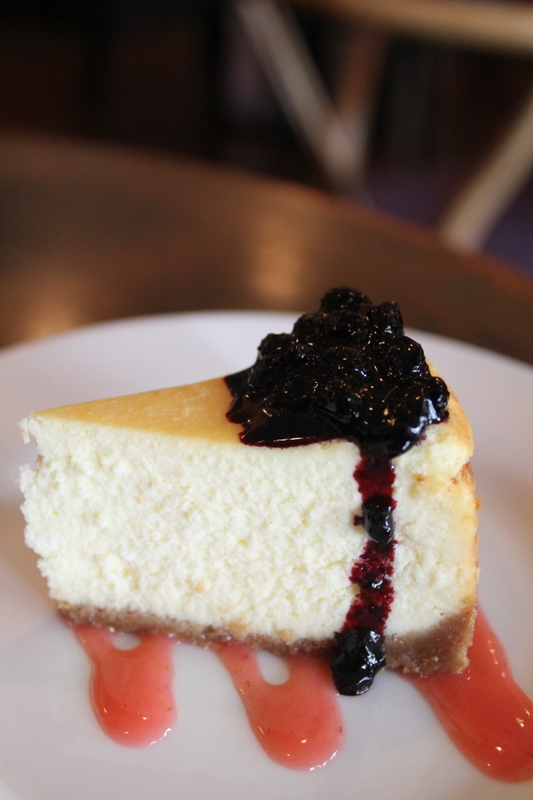 Good only in Korea and the United States. Of course, if you’d simply like to buy a copy, you can do that via Seoul Selection. Might Dennis Rodman’s trip to North Korea change US policy? Is oriental medicine on life support? Hey, at least Sejong City has a nice private arboretum. Steamed rice—it’s good for you. 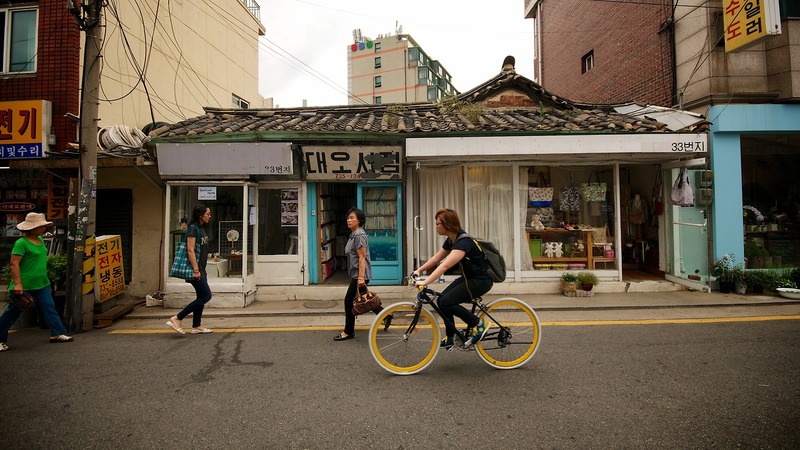 Korea still needs bilingual professionals. 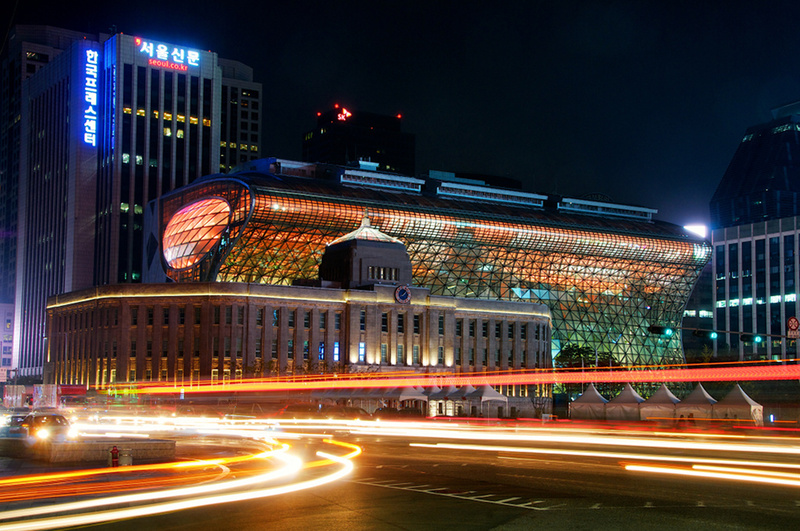 Chris Backe revisits the Bank of Korea Museum. Seoul Fortress and Namsan Park at night. Steve visits the Incheon Landing Memorial. Yours Truly went to Bukhansan National Park and revisited Mt. Ansan. CORRECTION: On page 30 of the March issue of SEOUL, we gave some mistaken information regarding the Richard Clayderman concert. The Clayderman performances at Sejong Center for the Performing Arts (Gwanghwamun Station 광화문역, Line 5, Exit 1 or 8) will be on April 11–12 (8pm). 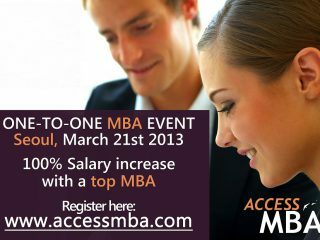 Admission is 50,000–150,000 won. For more info, call 02-3463-2466. Singer/songwriter Rufus Wainwright is set to steal the limelight when he comes to Seoul for a concert. His musical style draws on classical music, opera, musicals, and pop, yet he cannot be pigeonholed into any of these categories. The American-Canadian artist was affectionately referred to by Elton John as “the greatest songwriter on the planet” and highly praised by the New York Times for his “genuine originality.” Some of his songs used as original sound tracks include “Across the Universe” for I Am Sam, “The Maker Makes” for Brokeback Mountain, and “Hallelujah” for Shrek. Singer/songwriter Rufus Wainwright is set to steal the limelight when he comes to Seoul for a concert. His musical style draws on classical music, opera, musicals, and pop, yet he cannot be pigeonholed into any of these categories. The American-Canadian artist was affectionately referred to by Elton John as “the greatest songwriter on the planet” and highly praised by the New York Times for his “genuine originality.” Some of his songs used as original soundtracks include “Across the Universe” for I Am Sam, “The Maker Makes” for Brokeback Mountain, and “Hallelujah” for Shrek. 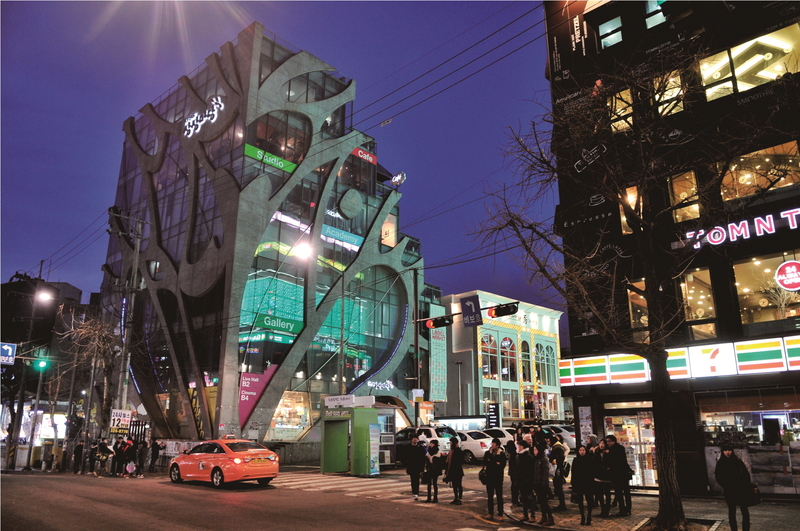 In March of 2013, SongEun ArtSpace will present its second special annual project, titled France in SongEun: The French Haunted House. It will feature emerging promising French young artists who are showing for the first time in Korea. The exhibition concept is based on a reflection to this moment of art history, when the focus of the avant-garde has moved from France to the United States. The exhibition will show that the “spirits” of modernity are now returning to haunt the practices of young French artists, who are getting rid of the “inferiority complex” in which France was plunged in recent decades, facing the commodification of art. The exhibition The French Haunted House will stage a certain idea of a flippant poetry in the visual arts field by following a bouncing scenario. The pieces of 12 young French artists will be presented, using visual echoes and surprise effects. The French Haunted House will show the conceptual vivacity, strangeness, visual richness, but also the humor of the young French art scene. This exhibition will bring together well-recognized artists along with new emerging talents, and is already receiving great anticipation from universities and press alike. GETTING THERE: See first map here. 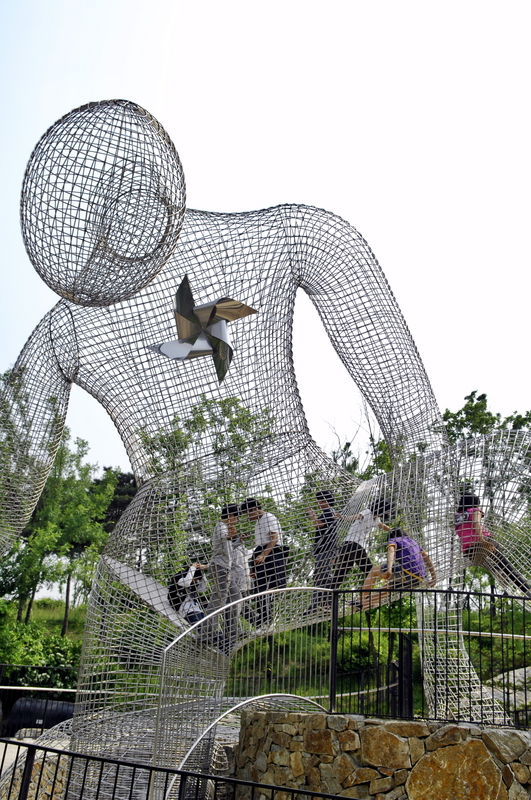 The City of Jeju is holding the 16th Jeju Deulbul Festival Mar 8–10. The site of the event is Saebyeol Oreum, a small crater formation west of the city. It is part of Korea’s agricultural tradition to set fire to farm fields in the early spring and thereby ready them for planting new crops by removing dead grass and destructive insects. The festival has evolved over the years and has now become an annual event that attracts thousands of tourists. Visitors place a note of their wishes in the burning bales of hay in hopes of their wishes coming true. GETTING THERE: Flight to Jejudo takes about 1 hour. Check out the most expected bands of the year. Today Express 2013 will offer you ways of laughing, dancing, singing, enjoying TODAY more pleasantly. APPEARING: Crying Nut, Peterpan Complex, Monni, Motel Rose, Gogoboys, Soran, The Soulutions, Rock’N’Roll Radio, Bascussion, Common Ground, achime, The Electric Eels, Core Magazine, WHOwho. Traditional Irish music performances, storytelling, dancing lessons, the opportunity to try out Irish musical instruments, face painting, and balloons are all there for the children so bring out the whole family. Celebrate the dazzling age of art deco and jazz! Join ANZA for an evening of fine dining, live entertainment, and fabulous prizes in Art Deco splendour at the luxurious Conrad hotel. Hosted by the French and German embassies, the Institut Francais, and the Goethe Institute, Digital Peace is an artistic season oriented toward the celebration of peace and reconciliation, a series of events fitting into the historic continuity of this opening up of Korea. The program proposes a selection of Franco-German works, artists, thinkers, designers, expositions, schools, institutions, labels, and festivals—the common thread is the notion of peace expressed through the broadest variety of digital approaches, forms, and expressions. All the events are organized in collaboration, correspondence, or connection with Korean artists, galleries, institutions, schools, and labels. GETTING THERE: Hakdong Station 학동역 (Line 7), Exit 10. 10-min walk. 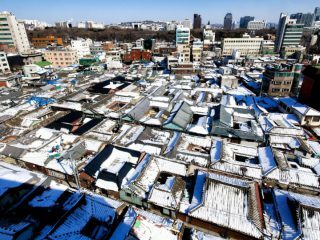 Jeonju, a bustling city of over 700,000, is the capital of Jeollabuk-do and the hometown of the Lee family that founded the Joseon Dynasty (1392–1910), as well as where the last living descendant of the royal family, Lee Seok, still lives. It has been designated by UNESCO as a City of Gastronomy and is considered the culinary capital of Korea, famed for its delicious local food. On the trail to Baegundae Park, Bukhansan National Park. Photo by Robert Koehler. work following our recent upgrade. 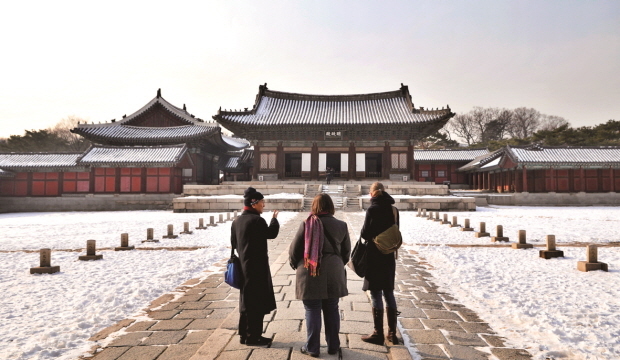 Seoul’s Hanok Island: Unhyeongung Royal Residence and Ikseon-dong [SHOUT OUT] ONE-TO-ONE MBA EVENT!! !